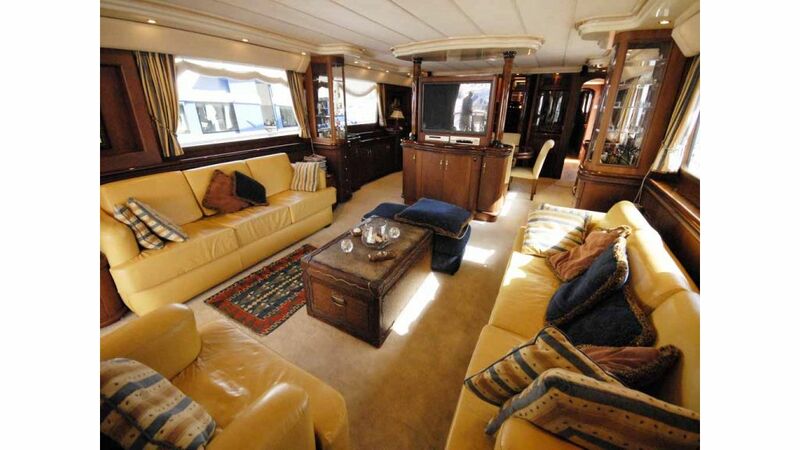 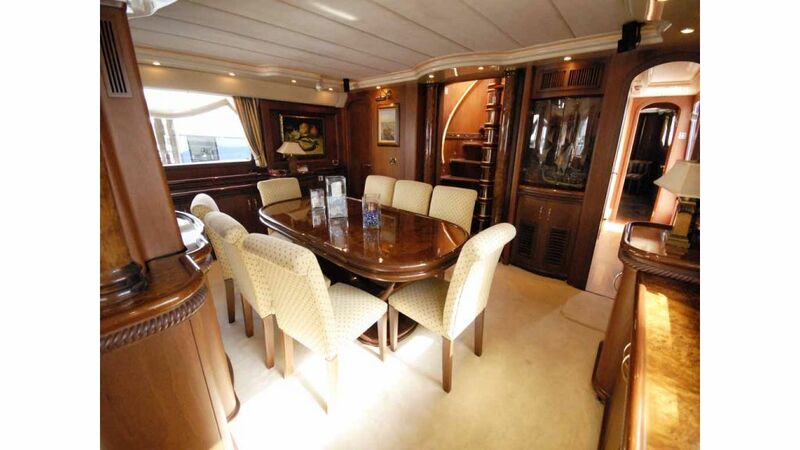 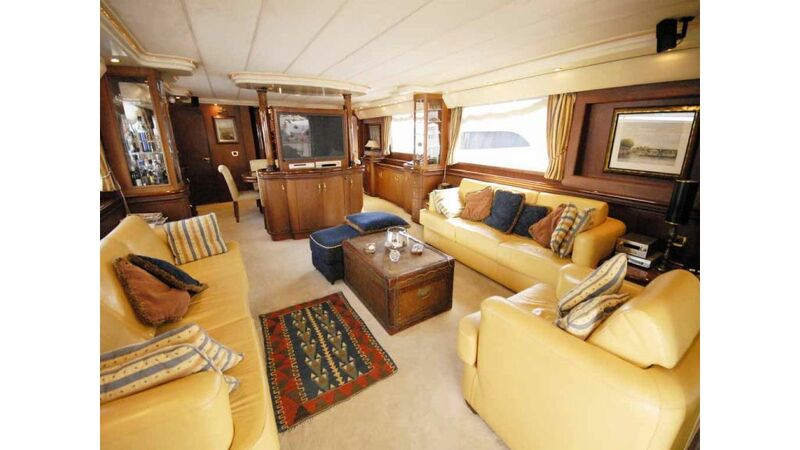 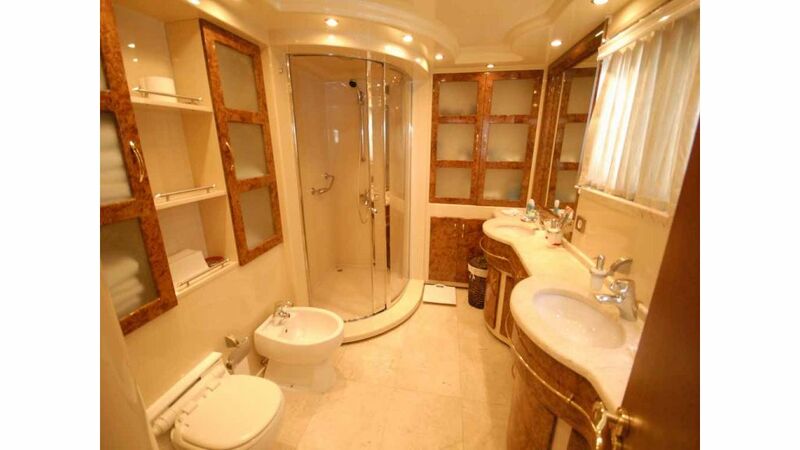 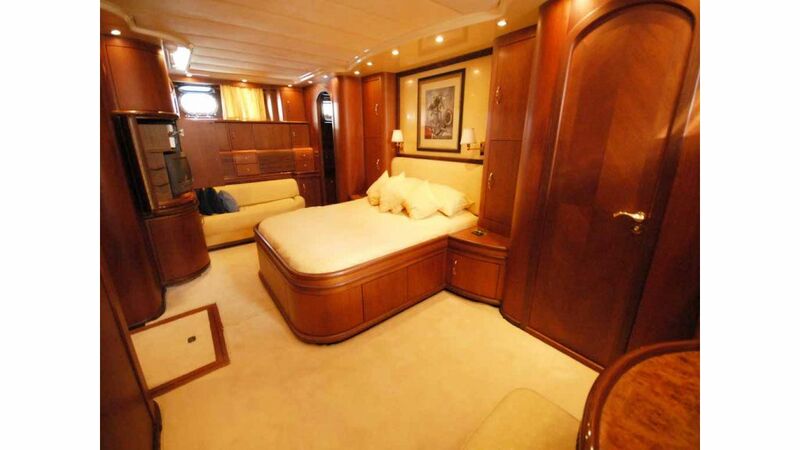 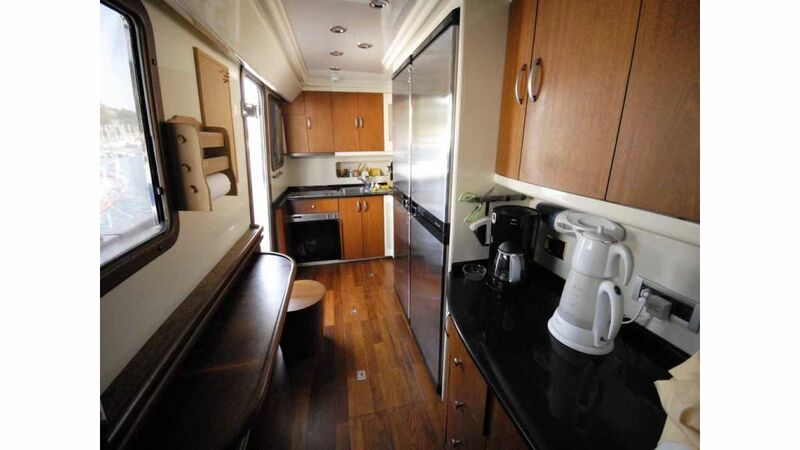 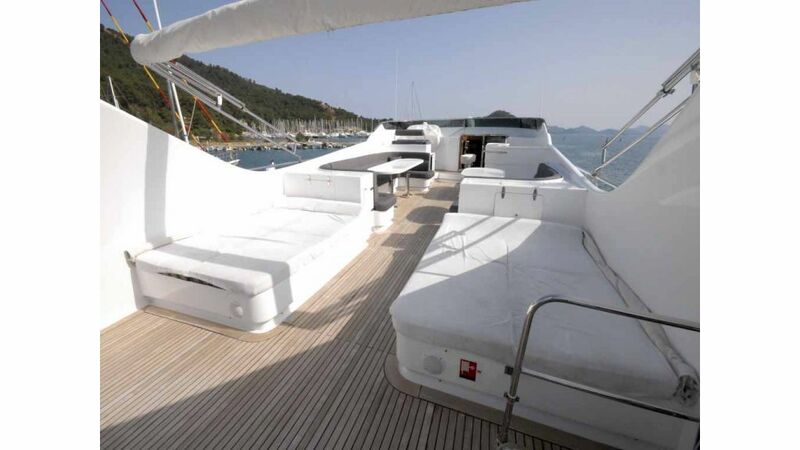 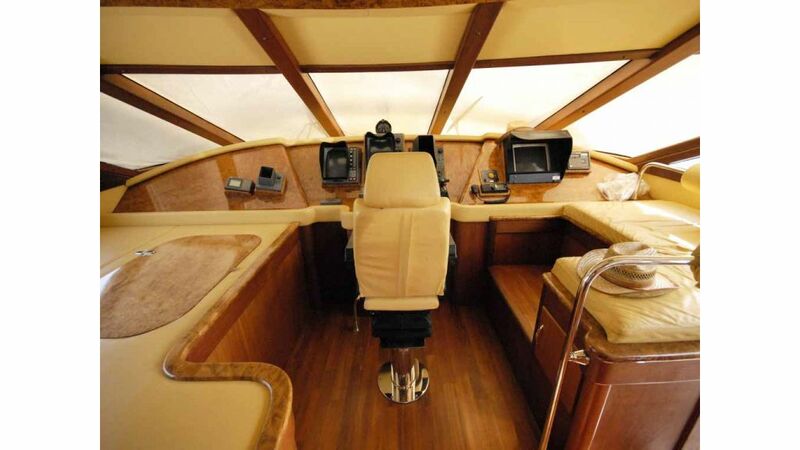 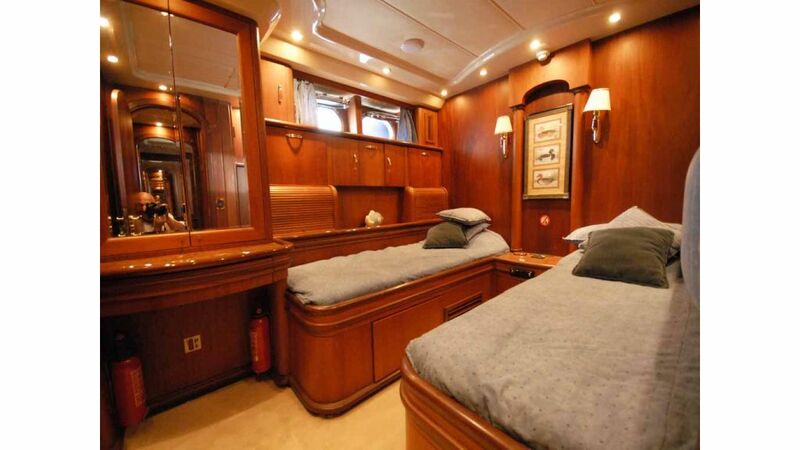 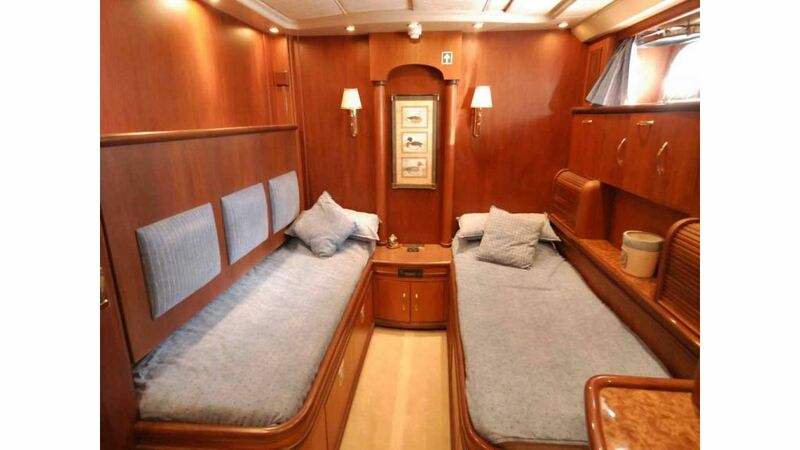 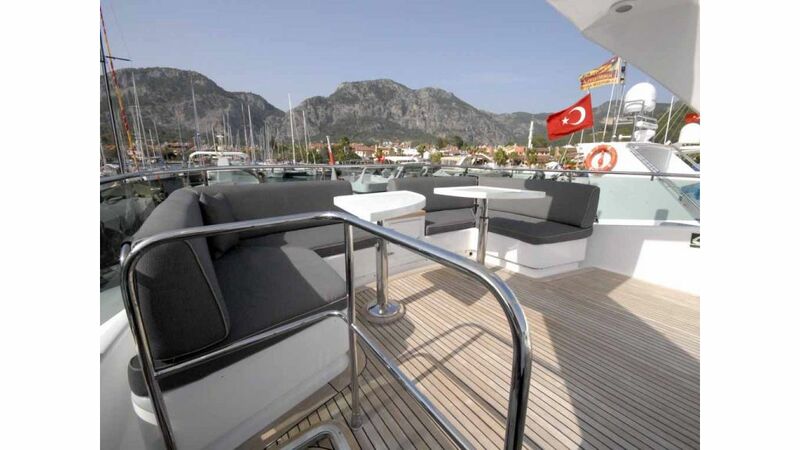 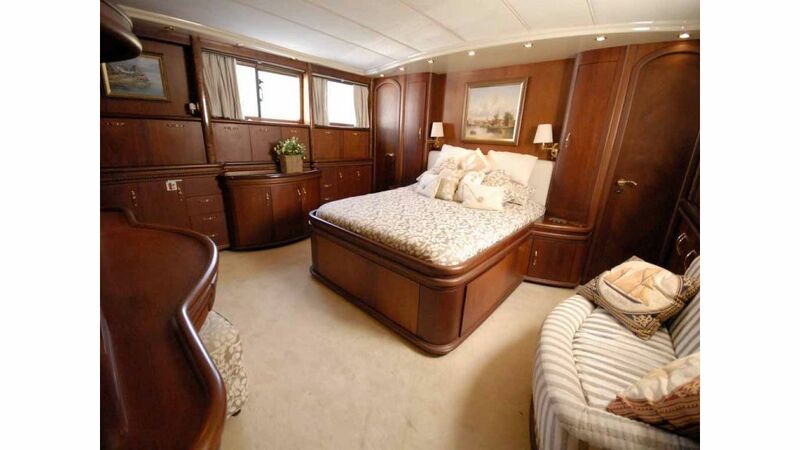 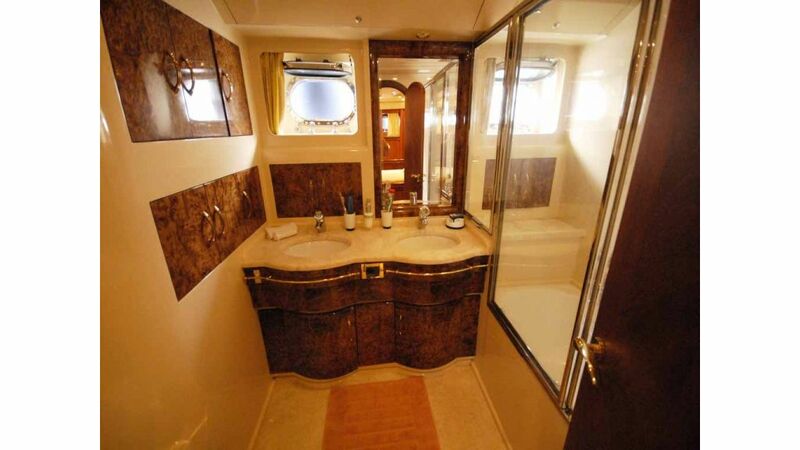 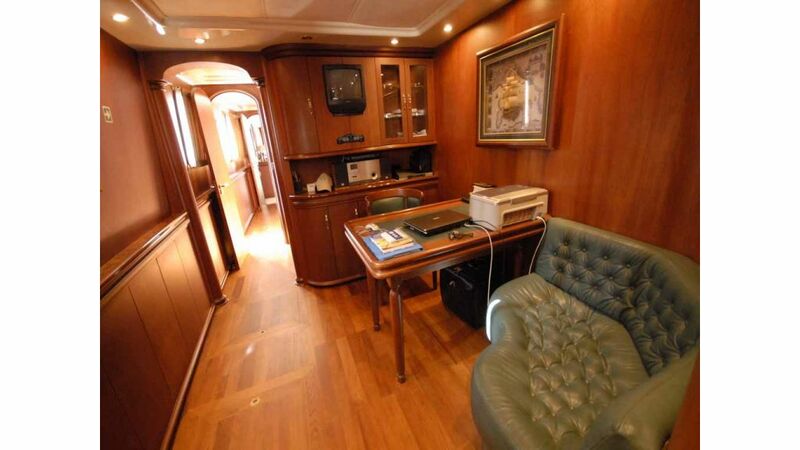 she is 34.m / 114 ft elegant custom designed yacht with a spacious interior. 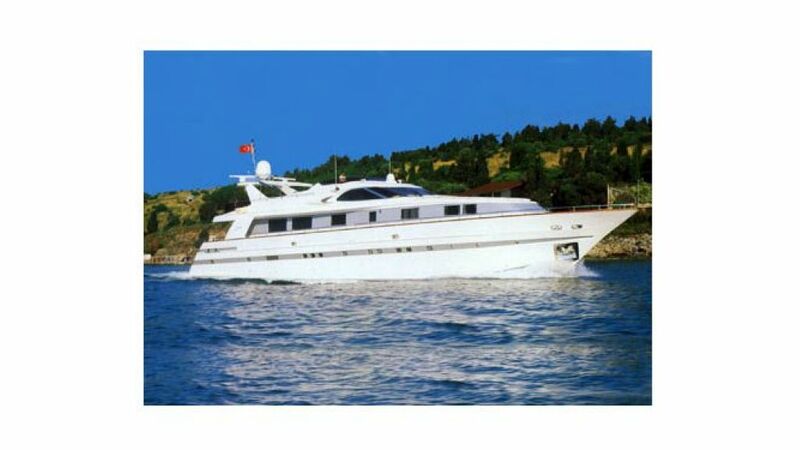 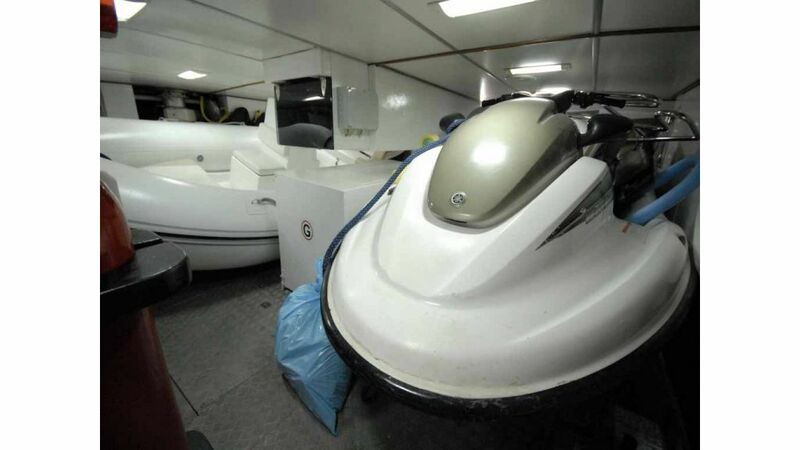 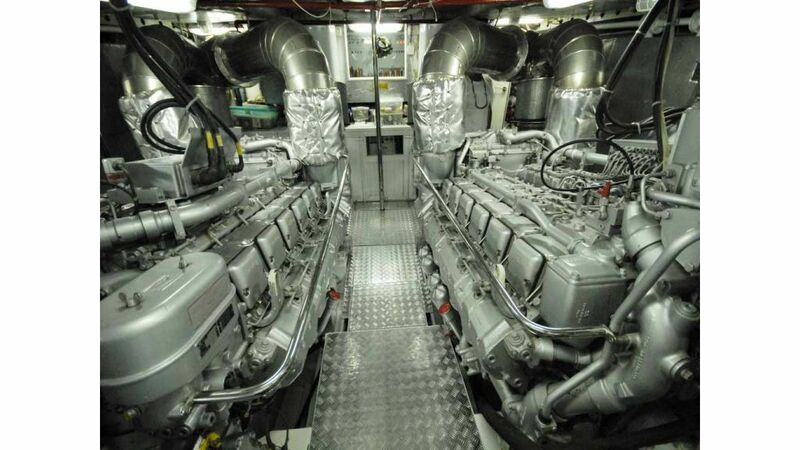 Capable of speeding upto 29 knots from her twin 2285 hp mtu diesels, Cruise effortlessly and whisper – quiet at 25 knots with a very smooth speed . 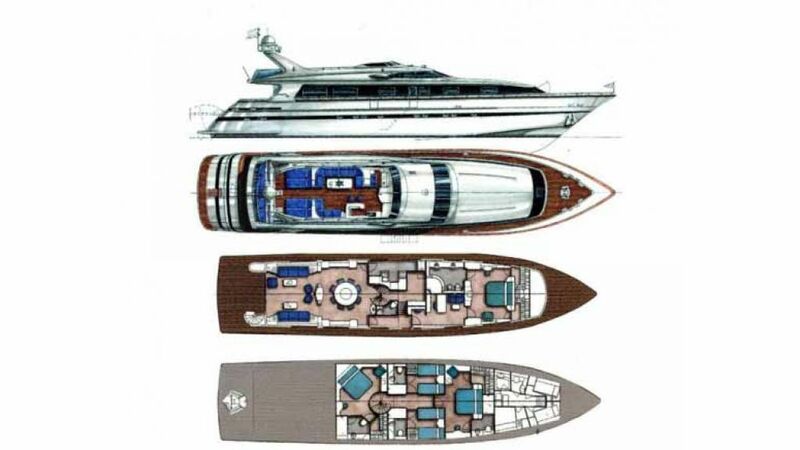 Her exterior styling reflects the powerful status of the yacht and her large aft tender garage not only makes for easy launch and recovery but also creates a large swim platform. 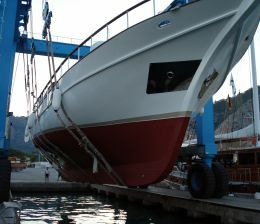 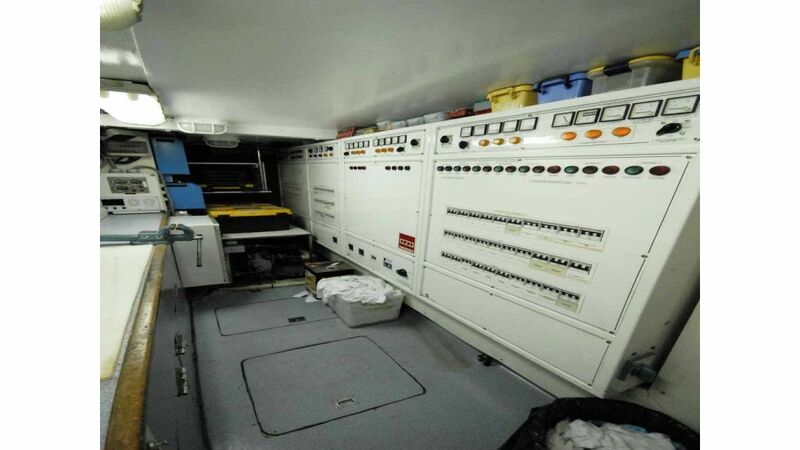 With no tender storage on beck. 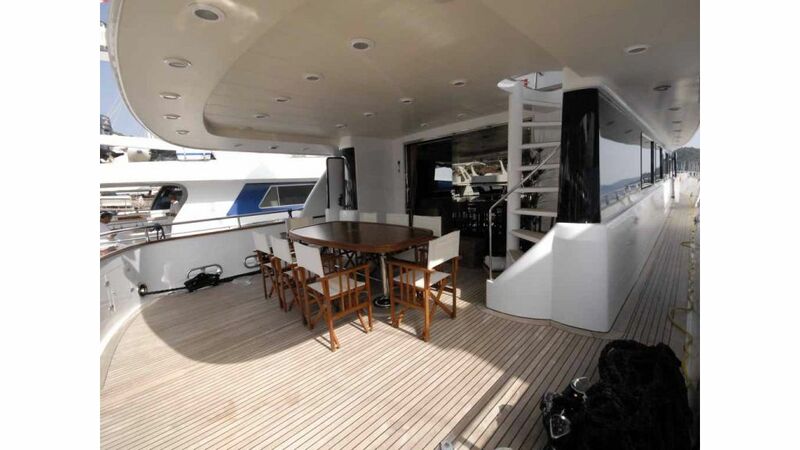 the whole upper area is devoted to an outdoor lifestyle. 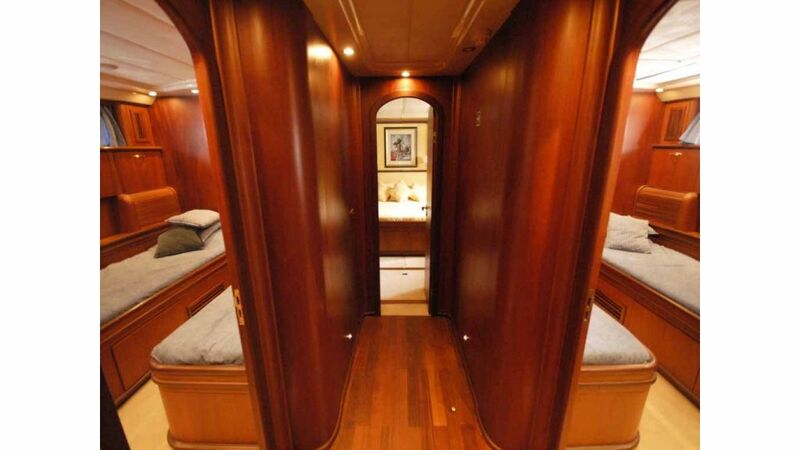 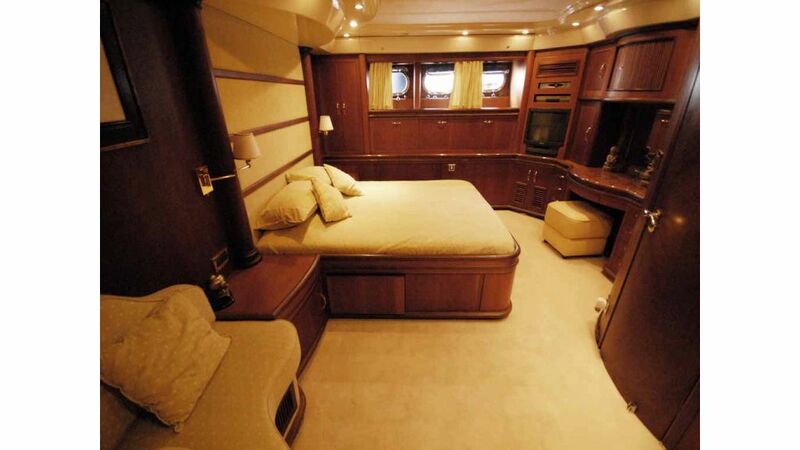 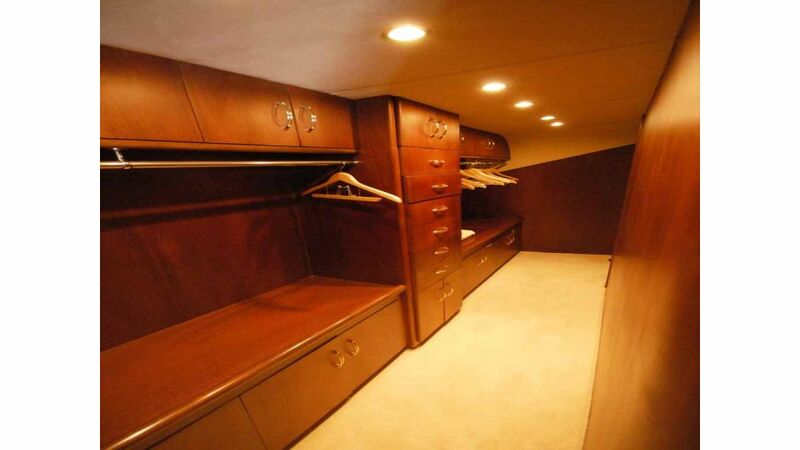 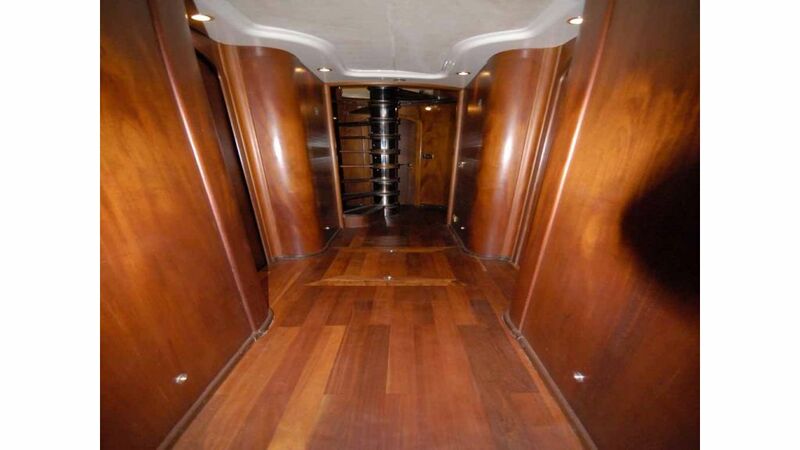 below decks is a worled of rich brazilian manhogany and burr Walnut. 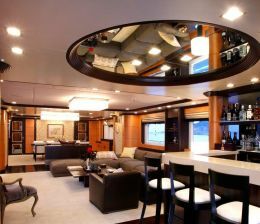 the styling is a careful blend of materials and shapes assembled ina disciplined fashion with just the righet amount of detailing the use of curved walls and solid mahogany jointry work is a celebration of the genuine enjoyment in working with wood that the dragos yard and its craftsmen have proven once again.